As almost self-evident these days, today’s freshly leaked images of the Samsung Galaxy S8 smartphone are also available. Among other things, we learn that the still unofficially presented high-end smartphone will be somewhat smaller than the Galaxy S7 Edge of the previous year. There is also today – hardly surprising – fresh picture leaks to Samsung’s Galaxy S8. On the one hand, the reporter Evan Blass has published another rendering picture on Twitter, on which now two different color versions of the S8 are seen from the front as well as from behind. On the other hand, Slashleaks has provided a photo on which the front panel of the S8 was placed directly between an iPhone 7 of Apple and a Galaxy S7 Edge. So the size of the upcoming Samsung flagship is best placed. Relevant and even to a certain extent impressively at the magnitude comparison is first and foremost that the Galaxy S8, despite its display with 5.8 inch screen diagonal indicated apparently somewhat more compact dimensions than the last year’s premium model Galaxy S7 Edge, which over a 5.5 Inch display. Samsung has done this through a general overhauled industrial design with almost edgeless edge touchscreen for the new high-end smartphone. The iPhone 7 with 4.7-inch display is the smallest device under the pictured but also makes it clear how wide the upper and lower display edge in Apple’s top model but compared to the S8 fails. Not only has a glance at the display of the Galaxy S8 granted the latest release published by Evan Blass. After a rendered image showing the S8 and the slightly larger sister model S8 + from the front in three different colors, Blass is now delivering a second rendering image showing both the front and back view of the S8 in the colors “Orchid Gray” And “Black Sky”. So we see again the backside main camera with LED flashlight as well as the fingerprint sensor placed to the right of the camera module. Due to the extremely narrow display surround, S8 will only offer a virtual home button and the Samsung logo will decorate the back. 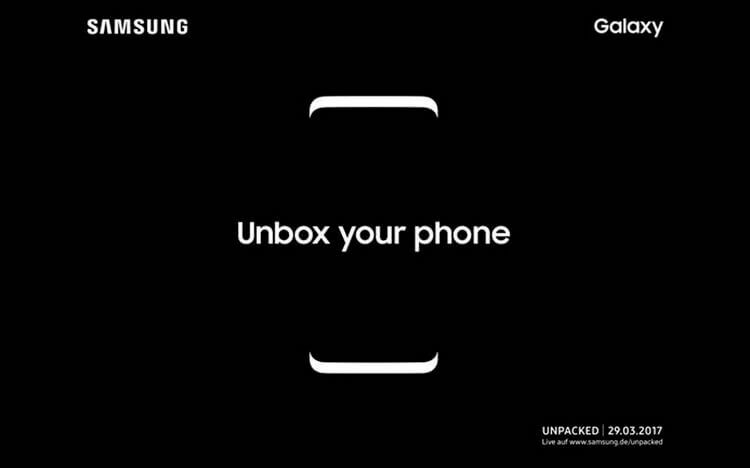 Samsung will officially present the Galaxy S8 and the S8 + on March 29, 2017, within the framework of two unpacked events (in New York, USA, and London, England). Teclast P80 Pro Review: What Could be Better than Compact Tablet 2018?